Hausmann Wrist/Ankle Weight - Sold Individually - Tan - 20 lbs. Hausmann Wrist/Ankle Weight - Sold Individually - Black - 12 lbs. Hausmann Wrist/Ankle Weight - Sold Individually - Gold - 3 lbs. 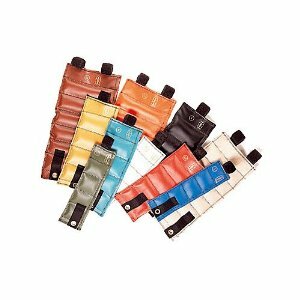 Hausmann Wrist/Ankle Weight - Sold Individually - Tan - .5 lbs. Hausmann Wrist/Ankle Weight - Sold Individually - Blue - 7 lbs. Hausmann Wrist/Ankle Weight - Sold Individually - Green - 9 lbs. Hausmann Wrist/Ankle Weight - Sold Individually - Blue - 1 lbs. 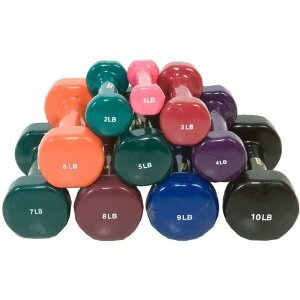 Hausmann Vinyl Coated Dumbbells - Sold Individually - 1 lb. to 10 lbs.